On February 27, 2011, Frank Woodruff Buckles passed away. At the time of his death, he was one of three surviving World War I veterans in the world, and the only American of the group of veterans. He was 110 years old. 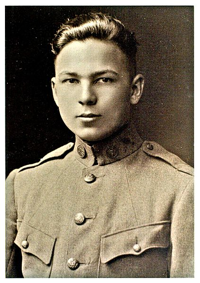 Buckles enlisted in the U.S. Army in 1917 at the age of 17. He shipped over to Europe on the RMS Carpathia (the ship which responded to and rescued survivors from the RMS Titanic only five years before), where he served with 1st Fort Riley Casual Detachment driving motorcycles and ambulances in England and France.